Greetings from Chiang Mai, Thailand! Rubina and I are honeymooning and we have our boy Jim with us. Today is Loi Krathong here — Festival of Light. We happened to be in Paris during the recent attacks... you can read a post I shared on Facebook telling my story of that experience here. You can check out some snaps from our time in Paris on my Instagram page. I also posted a short tribute to recently departed legendary New Orleans songwriter/producer/performer Allen Toussaint. Dillon Fence — Scott Carle, Kent Alphin, Chris Goode, and myself — is playing a special holiday show on Friday December 18 at the Visulite Theatre in Charlotte, North Carolina. This will be our only show of the season. Very special guest Mark Bryan of Hootie and the Blowfish opens the show. We'll be playing your faves, as well as some new tunes we recorded with John Plymale in August. You can buy advance tickets here. Tickets are selling briskly, so get yours early. Mark Harkness designed our show poster above— we'll have a few screenprints for sale at the show. We look forward to seeing our Charlotte people! Playing a solo set tomorrow night Thursday November 26 here in Chiang Mai at Papa Rock, thanks to a couple of friends— director/musician David Burris and rock 'n' roller Joe Cummings. I'll be doing a solo acoustic set and an electric set backed up by Nicky Scott and pals. Ruby, Jim and I will be missing our family stateside, but it'll be a rock 'n' roll Thanksgiving for us this year. Another show is in the works for Bangkok, so check the schedj if you have any friends there you'd like to send my way. The new Greg Humphreys Electric Trio LP is DONE! Legendary mastering engineer Greg Calbi recently mastered the recording in NYC and it sounds fantastic. We recorded the tracks in April at Overdub Lane with John Plymale and finished it up over the summer with Keith Robinson; this album is a true product of all our work together over the past couple of years and we can't wait for you to hear it. Plans are in the works for Matt Brandau, Keith and I to hit the road in early 2016 and bring the tunes to you. Getting busy here at HQ... Greg Humphreys Electric Trio is hitting the road, and Dillon Fence is playing some shows as well! We continued working on our debut Electric Trio studio album in July; Keith Robinson has done a great job mixing, and we're close to the finish line. Really proud of these songs, this recording, and this group. The Electric Trio (Matt Brandau, Keith) kicks the month off in style Saturday August 1 for a set at Raleigh NC's Lincoln Theatre supporting one of my all-time musical inspirations, soul legend Shuggie Otis. This will be our first trio show in Raleigh! We return to Bennettsville SC on Sunday August 2 for our second show with Four Oaks House Concerts. On Friday August 14, the Electric Trio is back in BKLYN, supporting New Orleans funksters Galactic as part of their four-night stand at Brooklyn Bowl. On Saturday August 15, we head to Trumansburg NY for a 4p set at Big Mean Sound Machine's inaugural BBQ festival at CRAQ Barn. We're in Trumansburg the following Saturday as well (August 22), playing our own show at the wonderful Rongovian Embassy. Scott Carle, Kent Alphin, Chris Goode and I are playing a very special Dillon Fence set on Saturday August 29 at Cat’s Cradle in Carrboro NC for Be Loud ’15 weekend! The Veldt and Local supergroup Preeesh! (featuring members of The Pressure Boys, Ben Folds Five, Let’s Active, and Dag) share the bill with us on Saturday night. Weekend passes and single night tickets are available through the Be Loud Sophie site. Friday August 28 features Southern Culture On The Skids, John Howie & The Rosewood Bluff, Neil Diamond All-Stars, and Chickenwire Gang. Anyone who follows the North Carolina music scene knows what a great weekend of music this will be! Proceeds benefit Be Loud Sophie foundation — read the story behind this wonderful organization here. These shows in August will likely be my last public performances for awhile. Rubina and I are getting married(!!!) in September, and we'll be on our honeymoon afterward. Yes, we'll be taking our boy Jim with us! Thank you for your continued support. It means the world to me. 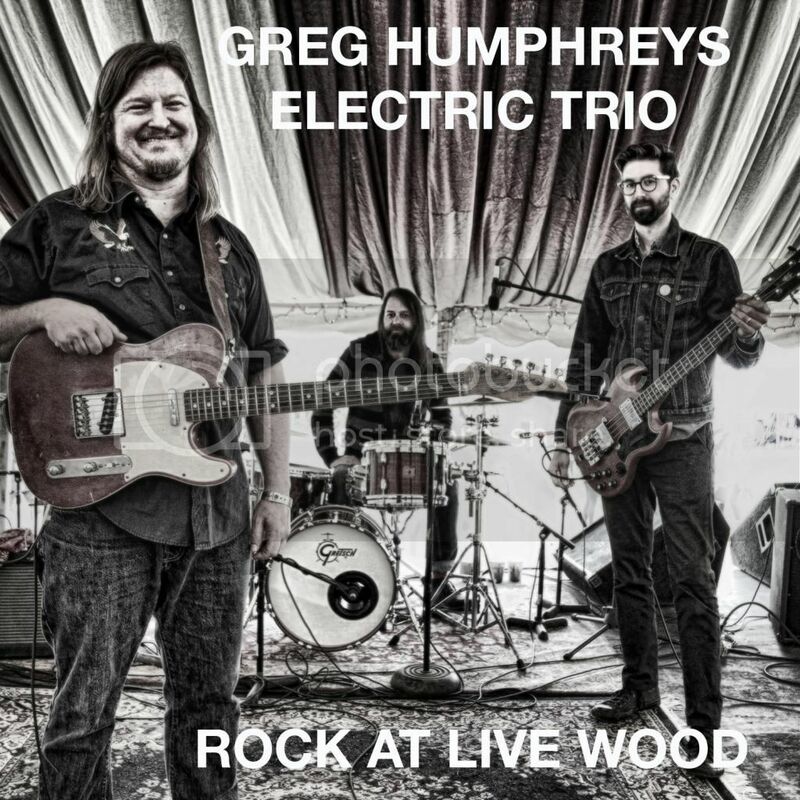 I will be back to support our Greg Humphreys Electric Trio debut studio album before you know it, and I'll be keeping you posted. Hope to see you all in August! Hey there! Hanging with my fam, writing songs and playing slide guitar after a busy June with Matt and Keith supporting Sonny Landreth. We've also been mixing our new Electric Trio LP – I'm giddy with anticipation for you to hear this recording. Before I get ahead of myself, though, we have some exciting trio shows coming up in July and August. We're supporting one of my all-time musical heroes, soul maestro Shuggie Otis, on Saturday August 1 at Raleigh NC's Lincoln Theatre. On Friday August 14, we'll be back in BKLYN supporting New Orleans' own Galactic at Brooklyn Bowl. We're also visiting Becket MA and Norwalk CT in July, and we'll be heading back to Bennettsville SC and Trumansburg NY in August. I'll be joining my Dillon Fence bandmates Scott Carle, Kent Alphin, and Chris Goode for a special set at Cat’s Cradle in Carrboro for Be Loud ’15 weekend. We'll be playing on Saturday August 29, along with local supergroup Preeesh! and The Veldt. Southern Culture On The Skids and John Howie & The Rosewood Bluff play on Friday the 28th. Weekend passes are available through the Be Loud Sophie site – only $40 for a full weekend of music, featuring some of my all-time fave bands and musicians to come out of the Chapel Hill music scene. Get your passes early! Proceeds benefit a great cause and the weekend is likely to sell out. My legs are covered in chigger bites, so it must be summer! Drummer Keith Robinson, Bassist Matt Brandau and I are opening for Louisiana guitar slinger Sonny Landreth this month in DE, NY, VA, and MD. Sonny is a fantastic slide guitar player with a singular style. List of dates below. We're playing our own show in our neck of the woods on Saturday, June 13 at Red Hook's Hometown Bar-B-Que — two sets from 7:30 to 10:30. North Cack folks, plan on our August 1 set in Raleigh at the Lincoln Theatre opening for legendary Soul visionary Shuggie Otis! His supremely awesome LP Inspiration Information might be the all-time most-played record in the Hobex van over the many years we toured. 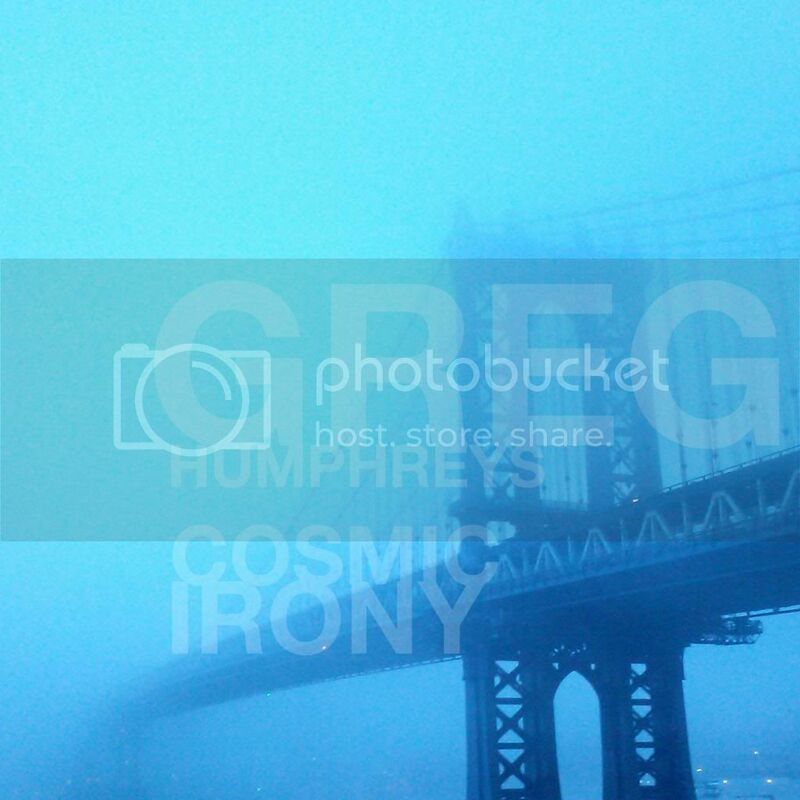 We've been working on the new Greg Humphreys Electric Trio LP and it's sounding delicious. We cut the basic tracks in April at Overdub Lane with the amazing John Plymale; we've been working on guitars and vocals over at Keith's Cobble Hill studio these past few weeks. More soon on this impending slab of hot wax! Scott Carle, Kent Alphin, Chris Goode and I are excited to be a part of Be Loud ’15 on the weekend of August 28 and 29 at Cat’s Cradle in Carrboro. We'll be playing on Saturday the 29th, along with local supergroup Preeesh! and The Veldt. Friday night will feature Southern Culture on the Skids, John Howie Jr. & The Rosewood Bluff. There's a family-friendly Saturday afternoon event in the works as well. More details to come, but weekend passes are now available here through the Be Loud Sophie site for $40. These passes will cover both evening shows and the Saturday matinee — a full weekend of my all-time favorite North Carolina bands (and friends). It's an incredible deal for a great cause. Buy your passes early — this weekend is likely to sell out.